Is a strongly alkaline liquid formulated from alkalis, surfactants, dispersants, wetting agents and solvents. 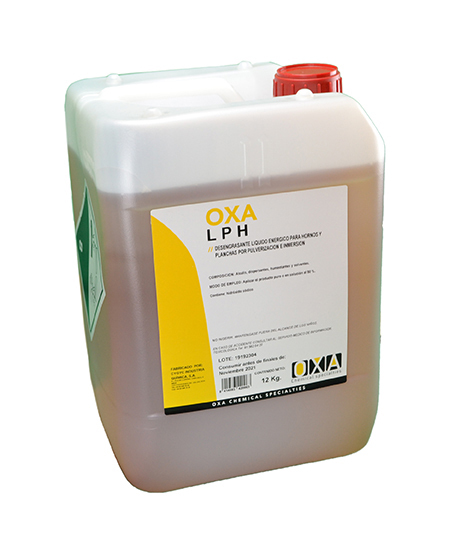 OXA - LPH is a highly alkaline product, miscible in water in all proportions, dissolves, disperses and saponifies both stored fat, as fat and scorched dry even at moderate temperatures. It is quick and easy rinsing.